I hope you all had a fantastic weekend. What happened to Monday? Must have just flown by. This beautiful spring weather is lifting my spirits. While I am typing this I am listening to this beautiful song called Snowflakes by White Apple Tree - have you ever heard of it? It's on the Kokowääh (German movie) soundtrack which I bought last week and absolutely adore. Sorry, getting side tracked here. Today I wanted to share some recent purchases I made for our home. It's in keeping with my little black and white obsession - the IKEA Stockholm Rand rug and a pretty little set of bowls. I'm hopeless at keeping to my "shopping list" when visiting my swedish friend. Do you have the same problem? I found the wooden flower (inside the bowl) in a small home accessories shop during our recent holiday to Majorca. I love it. I am working on some light pink cushions at the moment - hopefully I can share the result with you tomorrow. Have a great afternoon. 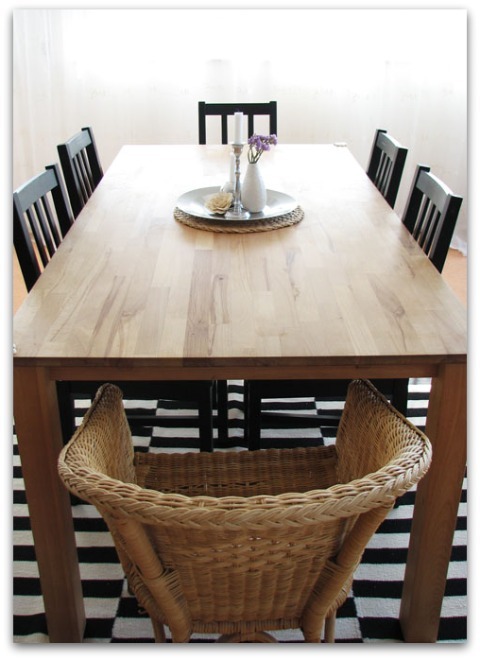 I just fell in love with your dining room. And pink cushion...yup, fell in love a second time. =) Great photos! Nina, I just love that rug! Great purchase. 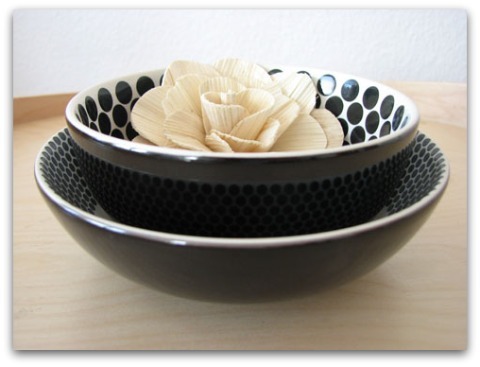 I've also used those black and white plates and bowls for a job I styled - I've always adored them. Nina, I love that flower! What a find. 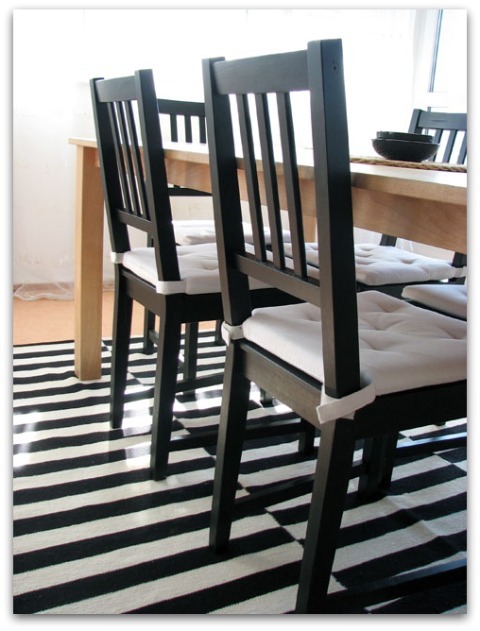 I'm going to look for that rug in our local IKEA - it's perfect for my daughter's black and white themed apartment!